By the end of the 19th Century, it was recognized by those concerned with human rights that the nation-state was a destructive anachronism. It was an entity that seemed addicted to periodic spasms of mass violence, particularly in the form of war carried out with little or no regard for non-combatants or other restraining factors. As a consequence, efforts began aimed at creating instruments of international law – treaties, conventions and other agreements – to modify state behavior in such areas as the treatment of prisoners and the victimization of civilian populations. Progress was spotty until the very end of World War II, when various human rights charters came into existence as a part of the United Nations. Through that institution, provision was made — albeit in very narrowly defined circumstances — for the fielding of UN military forces (the famous Blue Helmets) to try to enforce peace and protect civilian populations. Other institutions, such as the International Criminal Court (ICC), were also eventually brought into existence. The post-war move to expand international law to cover human rights and provide enforcement measures was all for the good, and in the future it will hopefully prove a powerful precedent that can be built upon. But this period of progress did not last long. It soon gave way to a hypocritical selective application of humanitarian law. The truth is that today only those nations which are relatively weak and have no great power patronage are in any danger of being called to task for gross violations of human rights. If you are the leader of some small African or Balkan state and you go on some ethnically or religiously inspired rampage, you run a real risk of being charged with crimes against humanity and hauled before the ICC, while the UN Security Council votes to send military forces into your country. On the other hand, if you are a great power or the close ally of one, you can pretty much do what you want, where you want. Great powers hold the concept of their own sovereignty sacrosanct and the us-versus-them mindset that goes along with hubristic nationalism remains unchallenged. That goes for their allies as well who, under the protection of their patron, often commit with impunity the same crimes that land smaller, unprotected powers in deep trouble. The most blatant contemporary example of this disregard for international law as it pertains to human rights can be seen in the actions of Israel. The Zionist state’s present blitzkrieg in Gaza may be the worst of that nation’s ongoing series of violations of International humanitarian law. I would refer the reader to the Center for Constitutional Rights fact sheet outlining Israel’s violation of humanitarian-law statutes. It is not an exaggeration to say that Israel’s acclaimed “Defense Forces” have become expert in violating human rights: murder and ethnic cleansing, illegal confiscation of occupied land, destruction of civilian housing, destruction of civilian infrastructure (water, electricity, sanitation, etc. ), attacking of medical facilities, torture both of adults and children, the use of banned weaponry, the mistreatment of prisoners and more. And they have done it all quite openly. 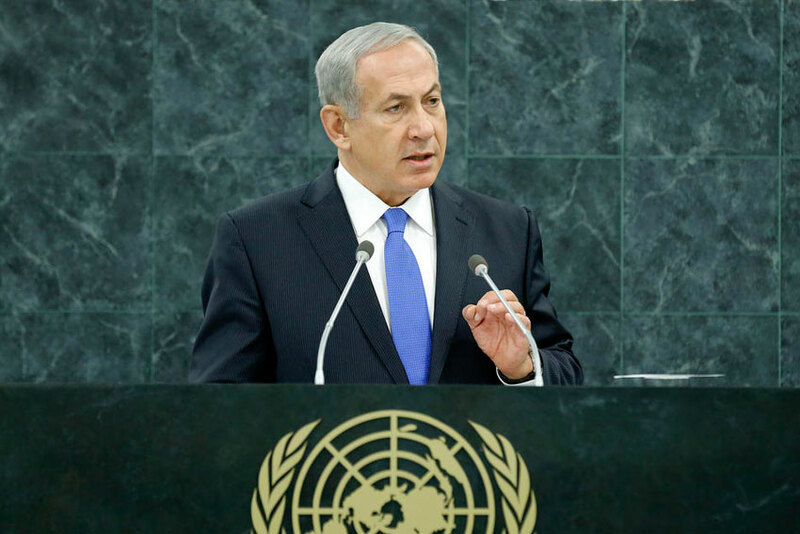 Official complaints about Israeli behavior come before the UN several times a year but to no avail. Each time Israel is called to task in the UN Security Council for violating international law, the U.S. vetoes the resolution and therefore Israel suffers no consequences. Obviously this only emboldens Israeli leaders to continue acting in a criminal manner. But the impact goes beyond Israel and its victims, because each time the U.S. casts its veto, international law designed to protect human rights suffers degradation. The reason for this U.S. behavior has to do with the inflated role of special interests, or lobbies (in this case the infamous Zionist lobby) in the governing structure of democratic societies. For a more detailed discussion of this phenomenon the reader can go to my essay on lobbies (Lobby, Lobbification, Lobbified, April 16, 2011) and how they operate in Washington. Under the present circumstances in most democratic states, if a special interest has sufficient resources and organization it can, quite legally, manipulate policy so that the very definition of national interest is warped into an expression of the interest of the lobby. 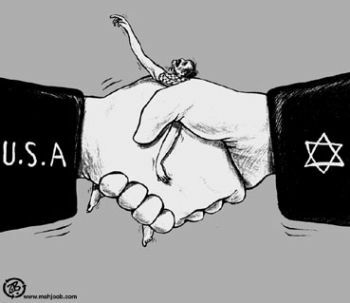 This is what the Zionist lobby in Washington has done in the case of U.S. foreign policy in the Middle East. This regrettable state of affairs has effectively brought to a halt any progress to expand enforcement of international human rights laws. Indeed, international law in general has fallen so far out of favor that, in the case of the United States, many citizens think that this form of law as well as organizations such as the UN are elements of shadowy conspiracies attempting to take over their nation. What does this tell us about ourselves and our politics? It suggests that at some deep level we are still tribal. The concept of us-versus-them appears deeply ingrained in our psyches and thus influences our actions. If the “us” could get bigger and bigger to the point where it encompasses all of humanity, that would be real progress. But short of an alien invasion that seems unlikely. In fact, the theory of natural localism — the notion that we all live our lives in localized spatial and temporal environments — suggests that tribalism in its various forms is the social organization most compatible with human nature. Those interested in the notion of natural localism should see the first part of my book Foreign Policy Inc. The promotion of international humanitarian law, which undermines tribalism by universalizing the application of law, may be felt as a threat by those whose self-concept is tied to the nation-state (or worse, an ethnically or religiously exclusive state) and therefore wrapped up with an us-versus-them worldview. This is certainly the case when it comes to the Israelis and their Zionist supporters. So, Israeli behavior and U.S. protection of that behavior is a somber message that we have a way to go to overcome our propensity for murder and mayhem. We have managed to establish standards of humanitarian behavior and even embody them in international humanitarian law. We have managed to create an albeit imperfect prototype for enforcement through the UN. But we have yet to overcome the problem of selective application of that law. This may be a fatal roadblock. If anyone can figure out how to overcome it, he or she will be a truly deserving candidate for the Nobel Peace Prize. Lawrence Davidson is a history professor at West Chester University in Pennsylvania. He is the author of Foreign Policy Inc.: Privatizing America’s National Interest;　America’s Palestine: Popular and Official Perceptions from Balfour to Israeli Statehood; and Islamic Fundamentalism.